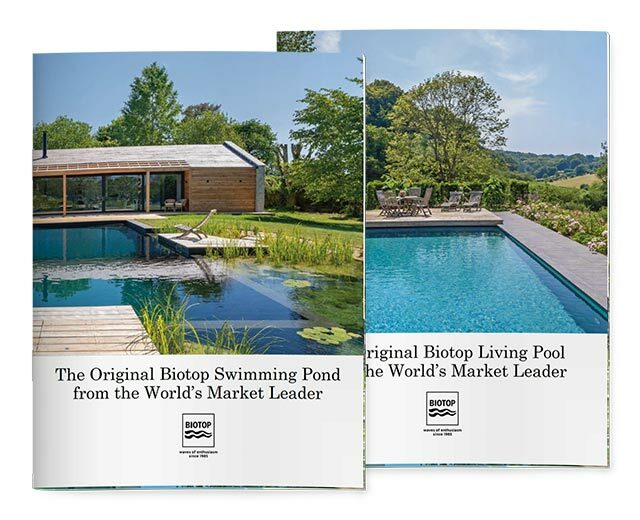 Thanks to the Living Pool Converter System, a traditional swimming pool is transformed quickly and easily into a biologically operated Living Pool. The existing water filtration system, comprising a skimmer, a pump and a sand filter, can remain in use. An additional converter chamber is installed containing a biological filter, a small pump and the PhosTec Ultra filter. All of the components are integrated into a single chamber adjacent and connected to the existing pool. The conversion process can help significantly reduce the costs of pool operation.